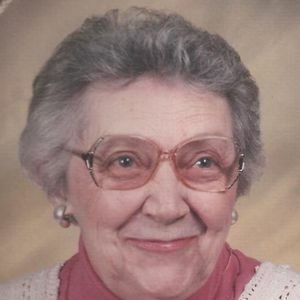 GREENVILLE - Mildred Louise Locke, 90, of Greenville, died Sunday, December 21, 2014, at 12:37PM at Muhlenberg Community Hospital. Mrs. Locke was born August 23, 1924, in Muhlenberg County. She was a homemaker and member of Sharon General Baptist Church. She was preceded in death by her husband, Gilbert Locke; son Larry Locke; sister Jonell Ray; and parents Leonard and Myrtle Lee. Survivors include her sons, Gerald (Connie) Locke, Freddie (Kim) Locke, and Darrell (Kim) Locke, all of Greenville; daughters Janice (Danny) Lear of Greenville and Mary (Mike) Orlin of Cantonment, Florida; grandchildren Amy Chmura, Dana Brantley, Beth Jenkins, Lesa Lichlyter, Allyson Stovall, Selena Locke, Lori Cobb, Adam Locke, and Tyler Locke; great-grandchildren Justin, Luke, Kristi, Whitlee, Danny, Regin, Leilani, Wesley, Roman, Ava Claire, and Genavieve; and sister Joyce Garris of Greenville. Funeral services will be Wednesday, December 24, 2014, at 11:00AM at Tucker Funeral Home in Central City, with Rev. Darren Pentecost officiating and Rev. Johnny Hibbs assisting. Burial in Corley Chapel Cemetery in Graham. Visitation will be Tuesday after 5:00PM at the funeral home. Online condolences may be made at www.tuckerfuneralhomes.com. My thoughts and prayers are with your loved ones for peace and comfort until you are together again. Families are forever. In this time of sadness may you rejoice with the many precious memories of such a wonderful lady. Earth's loss is Heaven's gain. Precious, loving, caring, Godly Mother to many over the years. She will be greatly missed by all who knew this wonderful lady. Janice, Gerald, Maryetta, Darrel, and all the family, you are in our prayers. Precious Memories. Just know that we are thinking and praying for you all during this time. If we can do ANY thing, please let us know.